Having a stillborn baby is one of the most tragic events a woman can possibly endure. Some stillbirths are caused by factors beyond a doctor’s control. However, when a stillbirth could have been prevented by proper medical care, the effects can be even more heartbreaking for the family as a whole. In such cases, the woman can bring a medical malpractice lawsuit against the responsible healthcare professionals. Although no dollar amount can compensate the mother who lost her child, it can help bring a sense of justice and closure. If you or someone you know has experienced the heartbreak of having a stillborn baby that you believe was the result of the negligent actions of your healthcare professionals, you need to immediately consult with a medical malpractice attorney. 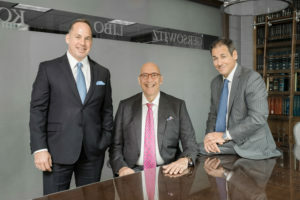 At Gersowitz Libo & Korek, P.C., we have more than 30 years of experience to help us do a comprehensive evaluation of the facts of your case and provide you with a complete list of legal options available to you. Our experienced and compassionate lawyers in New York treat each client with the compassion and respect they deserve in obtaining the benefits they are entitled to. In about half of stillbirths, the cause of the baby’s death is unknown. However, there are several factors that are known to increase the chances of a baby being stillborn. A doctor can be liable for failing to diagnose one of these conditions or for failing to treat the condition if it leads to stillbirth. A New York medical malpractice attorney can help you determine liability issues in your case. If the pregnant mother has high blood pressure, diabetes, or a bacterial infection, her chance of having a stillborn baby is higher. A doctor must therefore monitor for these conditions during the pregnancy. Similarly, the doctor should ask about the mother’s smoking, drinking, or drug use and should make an effort to help her quit, at least for the duration of the pregnancy. There are other warning signs more obviously related to the baby’s well-being. For example, if the baby stops moving, if it is too small for its age, or if the mother experiences pain and bleeding, immediate medical attention is necessary. In order to prove the ways in which the physician or other healthcare professional failed to meet the required standard of care, it may be necessary to obtain the testimony of a qualified medical expert. At Gersowitz Libo & Korek, P.C., we have the knowledge and financial resources to take any step necessary to establish the negligence of all of the parties responsible for a client who has experienced a stillbirth pregnancy. Our team of experienced medical malpractice attorneys in New York performs the painstaking tasks necessary to marshal key evidence to bring justice and obtain compensation for our clients. Even in the absence of any suspicion, ultrasounds and fetal monitoring are necessary. It is rare for infants to die suddenly and without warning, and preventative measures may detect problems with the umbilical cord or other fetal irregularities. A doctor should also monitor the baby’s heartbeat and check the mother’s urine. A doctor who fails to do so may not be meeting his or her required standard of care. This is especially true if the mother reported problems with her pregnancy and no tests were conducted. In some cases, it may be appropriate to deliver a baby by C-section as early as 24 weeks into the pregnancy. It is also important to induce labor if the pregnancy lasts longer than 41 weeks. Every jurisdiction has its own time limit within which a lawsuit must be filed. In the state of New York, the amount of time a person has to file a lawsuit differs depending on the specific facts of the case. In general, a person must initiate a medical malpractice lawsuit against a private or non-profit hospital within 2.5 years from the date of the wrongful conduct. Legal action against a municipal hospital must be initiated within 15 months after the negligent conduct occurred. In order not to miss this statute of limitation and forever bar your claim against the healthcare professionals responsible for your stillbirth, it is imperative to immediately consult with an experienced medical malpractice attorney who specifically handles stillbirth claims. If you have recently experienced the agony of having a stillborn child and you suspect or believe that medical negligence was the cause, you are not alone. Although such sadness and loss may remain with you for life, the law does provide you with legal course to help you seek justice against the parties responsible for your tragic loss. The attorneys at Gersowitz Libo & Korek, P.C. have over 30 years of experience in pursuing justice on behalf of individuals harmed by medical malpractice. Our legal team will take every step necessary to secure not only financial compensation but also accountability and justice.